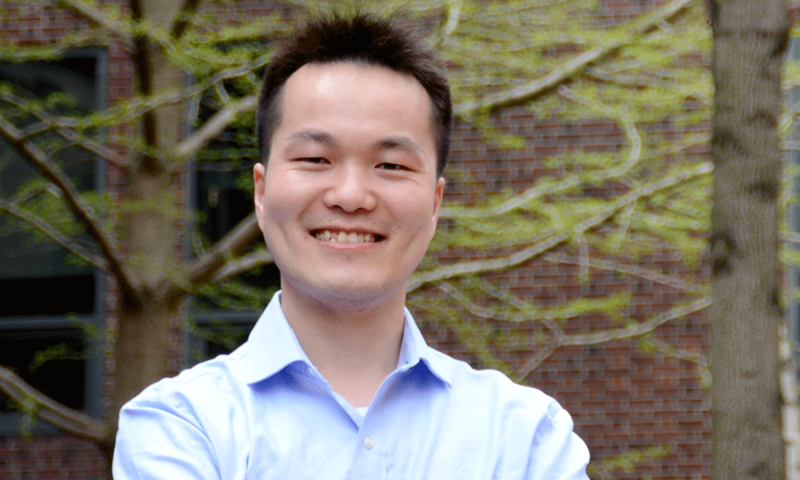 Jiang He, who graduated with a Ph.D from Harvard in 2016, was recently named one of the 30 Under 30 for the healthcare sector by Forbes magazine. Jiang, who used single molecule imaging to study biological processes in Professor Xiaowei Zhuang’s lab, joins an elite group of young professionals who were determined to be the top of their respective fields. Jiang is now working on his postdoctoral research at MIT under Dr. Sangeeta Bhatia, where he is studying the effects of malaria and hepatitis on an engineered liver. Jiang also won the 2016 Harvard Commencement Student Orations Competition, delivering a speech on his experiences growing up in rural China, and how they affected his perspective on the dissemination of scientific information. “Being on the list feels great, and it motivates me to further do great research in my field and help those who are in need of medical and healthcare resources,” said Jiang.